We have already seen what waste is, its classification and harmful effects of improper waste management. Here, we will see what waste management is, the steps involved in it, methods and advantages of waste management. Waste management is broad term that includes treatment of solid waste and effectively recycling them without increasing the thrash. It is an effective frame work in which reduces pollution to a great extent. Waste management is a solution to many problems rather than an issue. It is a cyclic process that can be broadly classified into 5 steps. The different steps in waste management include monitoring, collection, transportation, processing and recycling. This is the first step in the waste management. Monitoring of waste includes a few processes like identification of waste and assessment of waste. Even if it is commercial or household waste it has to be properly monitored and accessed so that it can be wisely disposed to recycling centers. 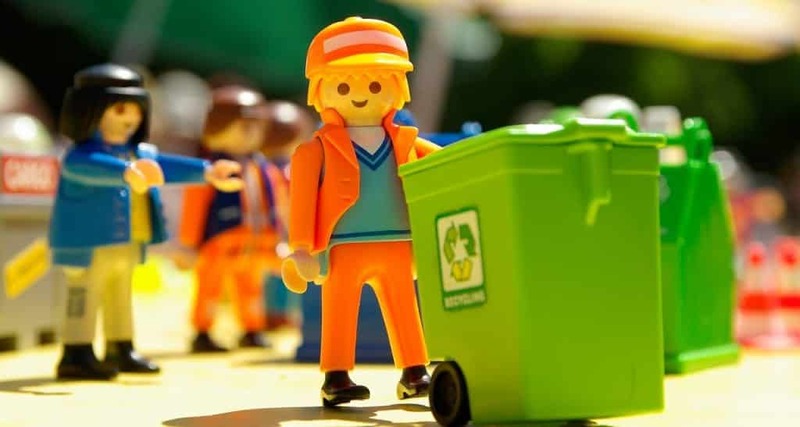 The next step in effective waste management is collection. Here the waste are collected from landfills and recycling centers. Now it is properly sorted as recycling plastics, glass, cardboard, paper, metal, aluminium, and so on. After it is being sorted it is being collected and sorted, it is being taken to the respective recycling industries or units. This is the next step in the process is transportation which is done by vehicles. They carry waste from the collection centers, Landfills, dumping grounds and sorting points and are taken to the final destination. All these are done by vehicles. Transportation plays a major role in effective waste management. This is a major step in waste management. After the waste is being sorted and cleaned, it is broken down into bits for faster and speedy recycling. In case of hazardous waste, it has to be separately dealt with and handled with atmost care. This is the last step in the process. After processing, the final product is ready to be recycled. Biodegradable and organic green waste should be used to make organic manure of taken to the landfills. The rest should be completely recycled so as to reduce pollution to an extent. New thins can be made with minimal use of available resources. This can also prevent depletion of resources. Read about Paper Recycling & Plastic Recycling. This is the most commonly practiced form of waste disposal. Here the waste is thrown on a daily basis to the nearby landfills. When such lands gets filled with waste, it is usually buried there itself. Management of these landfills is an important aspect of waste management. Some of the major reasons for landfills are agricultural waste, industrial waste, solid waste, construction waste, over population and urbanization. These landfills have drastic effect on the economy. The major negative effects of landfills are it causes land and air pollution, contaminates ground water and causes serious health problems like respiratory disorders, lung cancer and so on. Combustion of landfills worsens the matter that further increases the pollution rate. Plasma gasification is a process by which organic matter is fruitfully converted into electricity and gas. The plant has a gasifier which has hot gases from the plasma torch. This comes in contact with the all the organic waste and heated at a temperature of 3000 degree Fahrenheit. Due to this extreme temperature the raw materials gets converted into synthetic gas or syngas. This gas mainly consists of hydrogen and carbon monoxide. This gas is further sent to turbines that are rotated to produce electricity. Due to the extremely high temperature, even the hazardous waste gets converted easily. The major attraction of this process is that it does not produce any green house gases during the process. Incineration is another term used instead of combustion. Here the solid waste is burned and they are converted into gas and residue form. This is mainly done in landfills to considerably reduce the volume of waste. This process is called combustion. In incineration, the solid waste is converted into gas and residue with the help of incinerators. This type of combustion is common in most of the developing countries. Recycling is a process by which waste or discarded substances are reused or recycled to make a new product through various processes. The two variants of recycling are upcycling that is adding value to the item that is to be recycled and downcycling that is breaking down of the product that is to be recycled. The major advantages of recycling are it protects the environment; a lot of energy is saved in the process, it is Ecofriendly, protects the biodiversity, reduces pollution, the resources are protected, it is cost effective and reduces waste considerably. The three R’s if recycling is reduce, reuse, and recycle. Recover energy is commonly known as waste to energy or (WtE). This is a process of converting the substances that cannot be recycled or non recyclable waste to heat, electricity or other fuels. This comes under the category of renewable resource even though it comes from non recyclable materials. This can reduce the emission of carbon considerably. The use of fossil fuel to create energy can be minimized. This is a new concept in waste management. Minimizing of waste is the easiest way to reduce waste. This can be effective if more recycled products are used like bags, bottles and so on. Plastics should be avoided completely an instead Ecofriendly bags should be promoted. Effective waste management reduces pollution considerably. The green house gases like methane and carbon di oxide that is emitted from waste accumulated also reduces in the process. Effective waste management keeps the environment clean as not much waste will be accumulated in the surroundings. There will be considerable reduction in the landfills. The process of waste management creates wide job opportunities. This is mainly because of the different processes that are involved in waste management. Effective waste management protects the biodiversity thus protecting the mother earth. This process conserves energy since most of the processes involve the aspect of recycling. For example, many trees are cut for making paper but if old paper is recycled, new paper can be made. Deforestation will be reduces considerably. To conclude, effective waste management is an asset to the economy. A lot of environmental problems like water pollution, air pollution, land pollution, emission of green house gases can be reduced to a great extend. More technical advancement should be made in this field so that more waste can be recycled effectively. Government should conduct more awareness programs so that more people will be aware about the benefits of proper waste management. Effective waste management should start at every household. It can be practiced a daily basis which in turn reduces the waste considerably.